I love to travel. 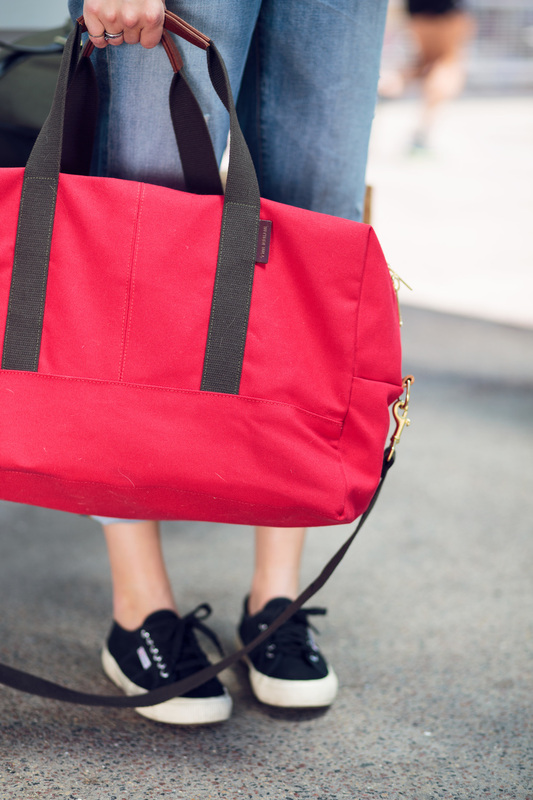 Whether it's a weekend getaway or a month overseas, I'm always ready to hit the road. Once you know where you're going and what you'll be doing, packing your suitcase isn't too difficult. It's deciding what to wear on the plane that can be tricky. Are you leaving from someplace cold and heading to sun? Will the plane be freezing? What's most comfortable? Which bag(s) is best as a carry on? I could keep going... But instead, I'll give you my tips for dressing to travel. 1. Comfortable shoes and don't forget socks! Security lines and layovers definitely require comfortable shoes. I like to travel in sneakers because I know my feet will be able to handle things like a quick layover or a long delay. I also always throw a warm pair of socks in my carry on because my feet tend to freeze! It's a small pleasure to be able to take off your shoes and replace them with fuzzy socks to keep your feet cozy on a long flight. The temperature can fluctuate so much from outside to inside the airport to the plane so make sure to layer! A t-shirt or tank top as a base layer is a must. Depending on where I am going I usually wear that base layer plus a sweater and a jacket. Sometimes I'll swap out the sweater for a large scarf that I can wrap around my shoulders if I get cold. It's good to have all your bases covered. In my opinion, lots of sitting and tight jeans don't go well together. I always opt for a boyfriend jean or a legging to insure all day comfort. 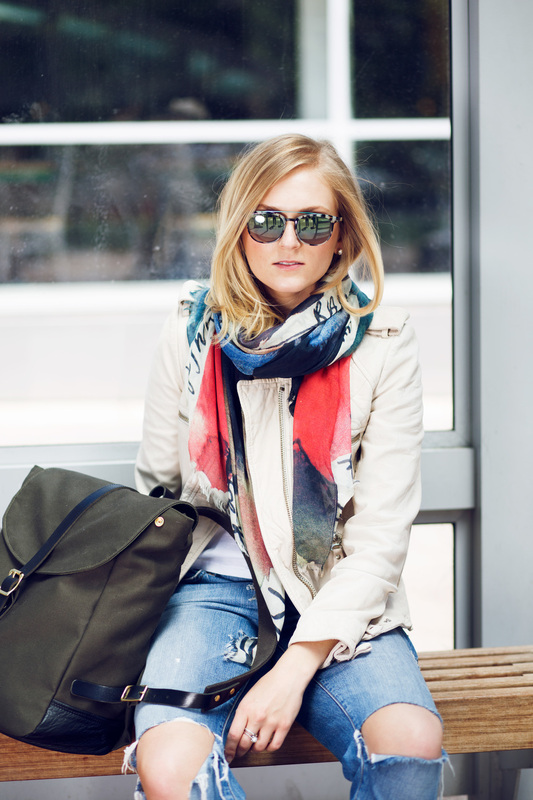 We all want to be stylish yet practical when traveling. A good carry on, like these two from Hither Hill will have you covered on both of those fronts. I like to take a backpack with a laptop sleeve and another larger carry on. I'm loving these bags because they're easy to carry, fit everything you need and still look super cute. What's better than that!? So start planning, pack your bags and adventure on, girlfriends!